I’ve been known to say, “Sangue Calabrese – Cuore Piemontese.” I’ll translate after a teeny tiny story. My parents and generations before them were born and raised in the region of Calabria, the ‘big toe’ of the boot, often called ‘the Caribbean of Italy’ (because of it’s amazing beaches and blue waters). In the early sixties, my Father moved to America with his family, and my Mother and her family moved to Torino (known in English as Turin), way up north nestled at the foothills of the Alps. Long story short (which I’ll share in detail eventually), my parents met, fell madly in love, and then moved to America together from Torino. Torino is often overlooked in the shadows of Rome, Florence, and Venice, but for those fortunate enough to explore it’s majesty, the first capital of Italy and the birthplace of Italian royalty is a temptress of the senses, from its charming Baroque architecture to its unique, regionally defined and Alpine-influenced cuisine. 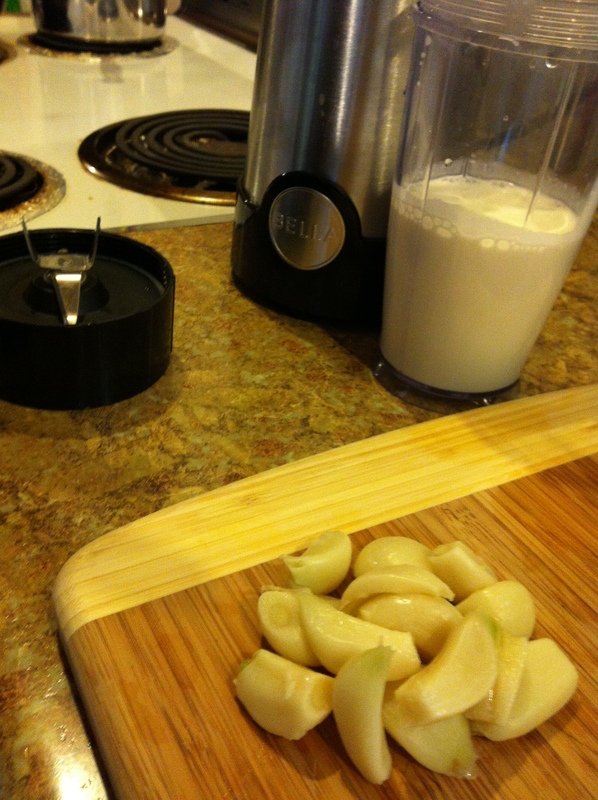 Begin by separating the cloves of garlic and placing all of them into boiling water. 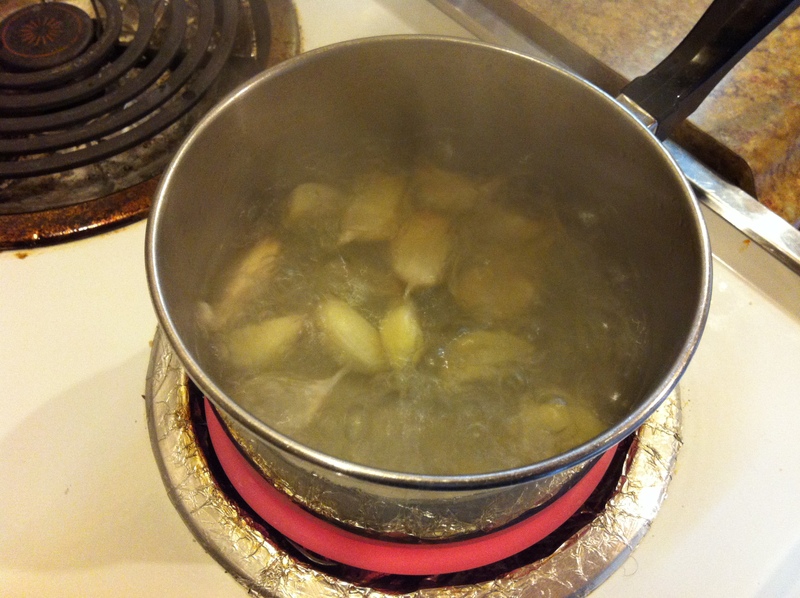 Boil for ten minutes (you can leave the skins on; I personally find them easier to remove after boiled). Drain, cool, peel and set aside. 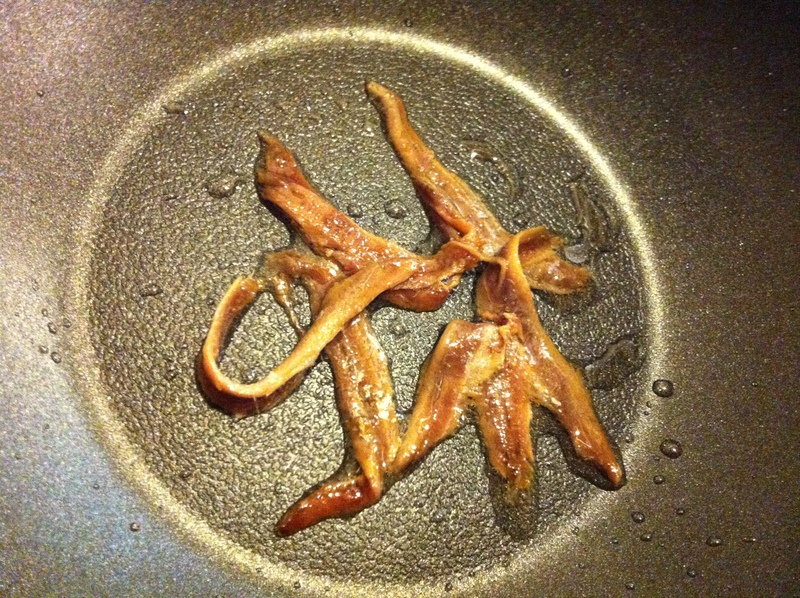 In a large skillet, heat the olive oil and anchovy filets over medium until the anchovies dissolve. Add the butter and melt completely. Add the cream cheese (it helps to cube it or slice it) and reduce heat to low to simmer while you prepare the garlic. Blend the garlic and heavy cream until you create what is essentially garlic whipped cream (I know, crazy, right?). Add the cream to the skillet with the oil, butter, cream cheese, and anchovies. 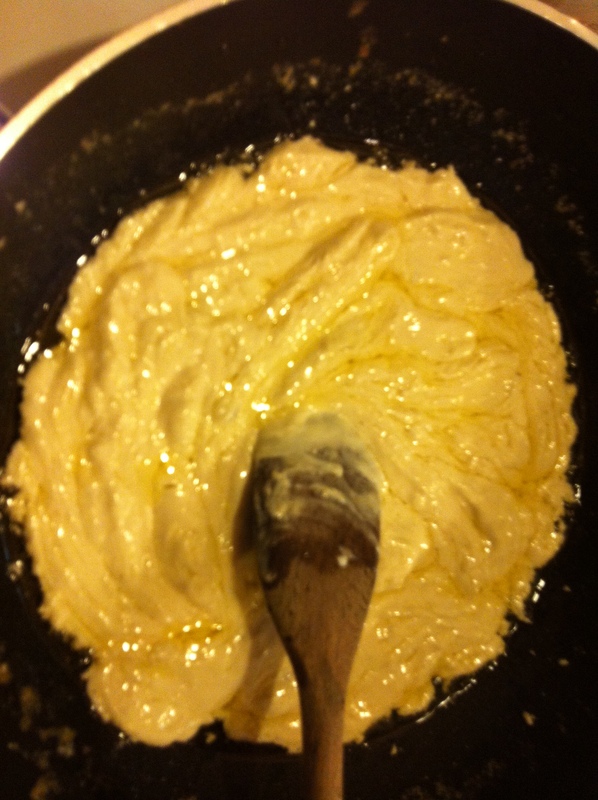 Mix continuously until well incorporated (the oil and butter will separate, keep mixing). Cook over low heat for about 10 minutes. 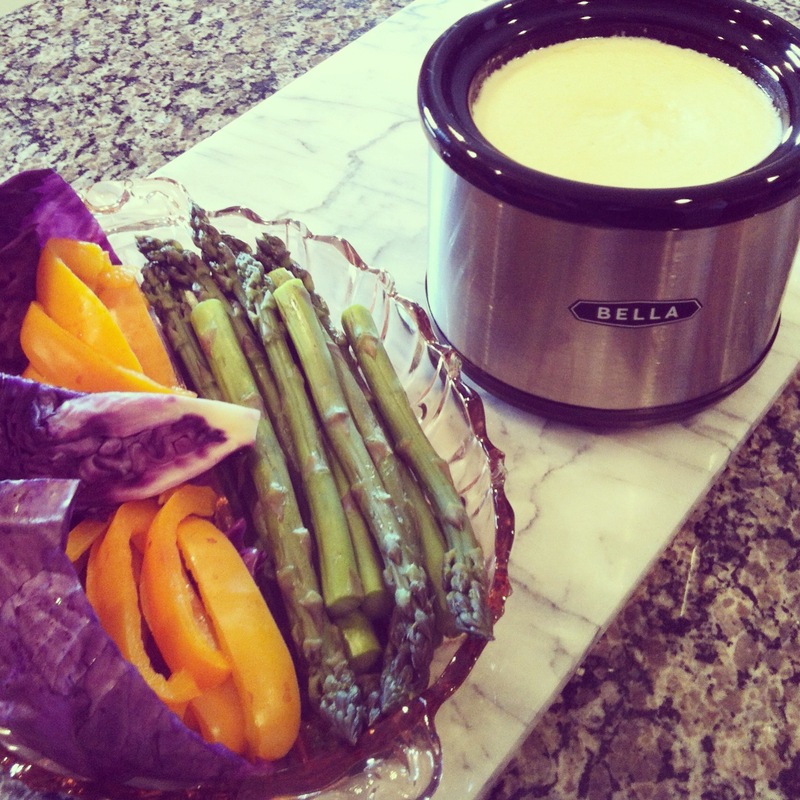 Serve hot in a fondue pot or similar – I used a BELLA Dip Warmer, and it cleaned beautifully without any lingering bold flavors. Dip your steamed veggies or large pieces of Traditional Rustic Bread into the dip and let the conversations begin and the toasts on-going. Salute! I can only imagine how delicious. 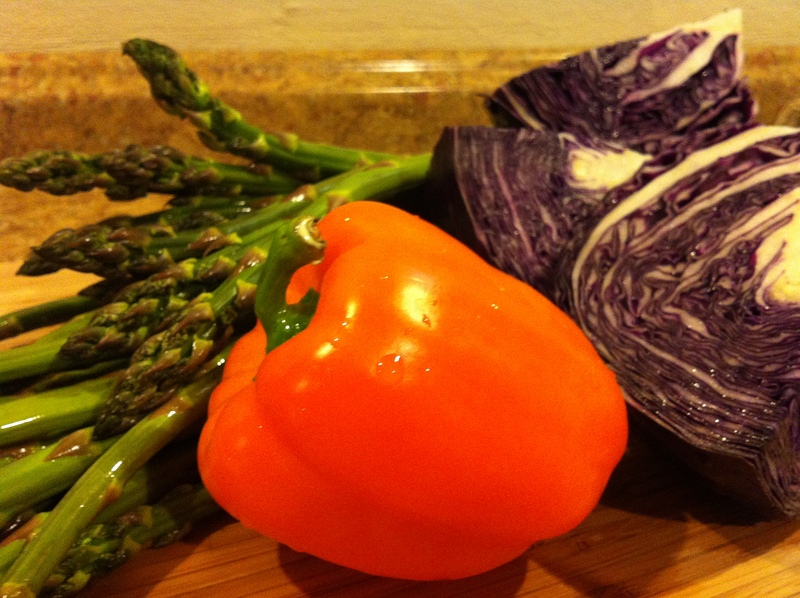 A fantastic recipe and I really like your steamer! Thanks so much. It’s quite rich, but I have to admit, harmoniously pairs with red wine. 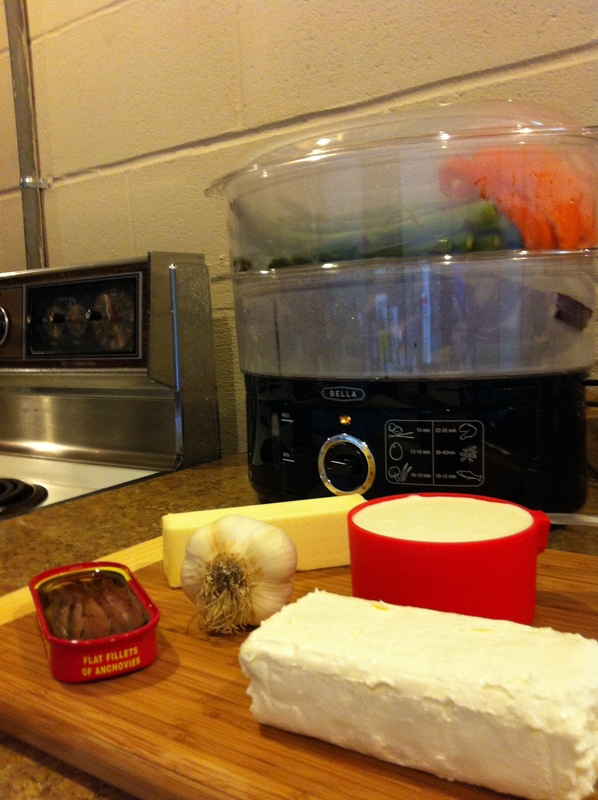 =) The steamer is awesome – I was shocked how easy to use and perfect the veggies came out. You can literally do protein, veggies, and rice in one bang!